Miep Gies, Alison Leslie Gold. Anne Frank Remembered:The Story of the Woman Who Helped to Hide the Frank Family. New York: Simon & Schuster, 1987. Miep Gies, Alison Leslie Gold. Anne Frank Remembered:The Story of the Woman Who Helped to Hide the Frank Family. New York: Simon & Schuster, 2009. ISBN 1-4165-9885-5. Miep Gies. Meine Zeit mit Anne Frank. Murrhardt : Schumm, 1990. More than twenty thousand Dutch people helped to hide Jews and others in need of hiding during those years. I willingly did what I could to help. My husband did as well. It was not enough. There is nothing special about me. I have never wanted special attention. I was only willing to do what was asked of me and what seemed necessary at the time. When I was persuaded to tell my story, I had to think of the place that Anne Frank holds in history and what her story has come to mean for the many millions of people who have been touched by it. I'm told that every night when the sun goes down, somewhere in the world the curtain is going up on the stage play made from Anne's diary. Taking into consideration the many printings of Het Achterhuis (“The Annex”) and the many translations that have been made of Anne's story, her voice has reached the far edges of the earth. ^ 1.0 1.1 1.2 The Story of Miep Gies. TEACHERS. SCHOLASTIC. [2010-01-15]. （原始内容存档于2009-03-23） （英语）. ^ Menachem Z. Rosensaft. Sainthood for Miep Gies. The Washington Post. 2010-01-12 [2010-01-20]. （原始内容存档于2010-01-26） （英语）. ^ 3.0 3.1 3.2 3.3 Meip Gies :: Youth. Meip Gies - her own story. [2010-01-19]. （原始内容存档于2010-02-23） （英语）. ^ 5.0 5.1 Miep Gies :: Life as an office assistant. Meip Gies - her own story. [2010-10-20]. （原始内容存档于2011-05-24） （英语）. ^ 6.0 6.1 6.2 Miep Gies :: Jan Geis. Meip Gies - her own story. [2010-10-20]. （原始内容存档于2011-02-03） （英语）. ^ 7.0 7.1 Meip Gies :: Friendship with the Frank family. Meip Gies - her own story. [2010-01-27]. （原始内容存档于2010-02-01） （英语）. ^ 8.0 8.1 8.2 8.3 8.4 8.5 Meip Gies :: Helping the hiders in the Secret Annex. Meip Gies - her own story. [2010-01-30]. （原始内容存档于2010-02-01） （英语）. ^ In Hide : Tension and Bickering. Anne Frank House Museum. [2010-02-06]. （原始内容存档于2008-11-17） （英语）. ^ Ciro Paoletti. A military history of Italy. Greenwood Publishing Group. 2008: 183-191 [2010-02-10]. ISBN 0275985059 （英语）. ^ 11.0 11.1 11.2 11.3 11.4 THE HELPERS AND HIDERS: AFTER THE ARRESTS. THE DIARY OF ANNE FRANK. [2010-02-05]. （原始内容存档于2009-05-18） （英语）. ^ Johannes Kleiman. Anne Frank Guide. [2010-02-05] （英语）. ^ Victor Kugler, Helper of the People in Hiding. Anne Frank Museum Amsterdam. [2010-02-05] （英语）. ^ Miep Gies, Anne Frank protector, dies at 100. CNN. [2010-02-06]. （原始内容存档于2010-01-31） （英语）. ^ 15.0 15.1 Miep Gies :: After the betrayal and after the war. Miep Gies - her own story. [2010-02-09]. （原始内容存档于2010-02-01） （英语）. ^ Liberation of the Netherlands. CANADAR AT WAR. [2010-02-22]. （原始内容存档于2010-03-26） （英语）. ^ Liberation of the Netherlands and capitulation of Germany. Juno Beach Centre. [2010-02-22]. （原始内容存档于2008-08-18） （英语）. ^ Otto reads Anne's diary. Anne Frank Museum. [2010-06-29]. （原始内容存档于2010-07-06） （英语）. ^ The diary is published. Anne Frank Museum. [2010-06-29]. （原始内容存档于2010-07-06） （英语）. ^ 20.0 20.1 Anne Frank diary guardian Miep Gies dies aged 100. BBC. [2010-07-05]. （原始内容存档于2015-04-17） （英语）. ^ Author Alison Leslie Gold to Speak Sept. 25. Guildford College. 2006-09-25 [2010-07-08]. （原始内容存档于2010-05-29） （英语）. ^ Anne Frank Remembered (1995). The New York Times. [2010-06-29]. （原始内容存档于2011-05-21） （英语）. ^ FAQ:13. Are you still married and where do you live now?. Miep Gies. [2010-07-08]. （原始内容存档于2010-02-23） （英语）. ^ 楊明娟. 「安妮的日記」搶救者吉斯病逝 享年100歲. 中央社. 2010-01-12 [2010-07-08]. （原始内容存档于2012-07-11）. 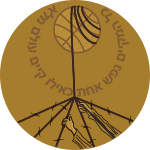 ^ Righteous Among the Nations Honored by Yad Vashem:THE NETHERLANDS (PDF). Yad Vashem. 2010-01-01 [2010-07-09]. （原始内容存档 (PDF)于2016-12-28） （英语）. ^ Previous Award Recipients. The Raoul Wallenberg Committee of the United States. [2010-07-09]. （原始内容存档于2011-08-25） （英语）. ^ 28.0 28.1 28.2 Miep Gies – A Biography. Anne Frank Museum Amsterdam. [2010-07-09]. （原始内容存档于2013-05-02） （英语）. ^ Österreichische Auszeichnung für Anne Frank-Helferin Miep Gies. APA-OTS. 2009-07-31 [2010-07-09] （德语）. ^ Asteroid named after Anne Frank diary rescuer. Radio Netherlands Worldwide. 2009-10-04 [2010-07-09]. （原始内容存档于2009-10-07） （英语）. ^ Books. Alison Leslie Gold. [2010-07-12]. （原始内容存档于2010-08-20） （英语）. ^ I am not a hero. Meip Gies - her own story. [2010-07-12]. （原始内容存档于2010-01-23） （英语）.